Frame My Future Scholarship Contest in US, 2019 is offered for High/Secondary School, Bachelors, Masters degree in the field of Creative arts or poetry . You can apply to this scholarship here. The deadline for the sending your application is 01 Apr 2019. This scholarship is provided by Church Hill Classics and the value of this scholarship is Partial Funding, Depends on the prize won . This scholarship is open for: Open to residents of US. The applicant must be a student of U.S. college or university full-time for the 2019-20 year. It also includes community college, undergraduate, or graduate school. The candidate applying should be U.S resident. The students are selected by the Judges based on the description and entry image. The creativity of the full entry within a maximum of 500 words is taken into consideration. The statement can a theme of student's choice with a title "This is how I Frame My Future". The statement provided should Contain correct grammar and spellings. Grand Prize Winner - $5,000 Scholarship and a custom diploma frame. 1st Runner-Up - $1,000 Scholarship and a custom diploma frame. 2nd Runner-Up - $500 Scholarship and a custom diploma frame. The last date to register for Frame My Future Scholarship Contest is 1st April 2019. At Church Hill Classics, we offer professional quality framing to showcase and preserve your most treasured documents. We are a leading U.S. manufacturer of custom diploma frames, certificate frames, insignia desk accessories and photo frames for thousands of institutions of higher education, the military, professional associations, and corporate clients. Our product line includes Design Your Frame customizable diploma, certificate, and membership frames, military frames and cases, sports frames, insignia desk accessories featuring customized medallions, and a line of Lasting Memories photo frames and autograph frames. Products and framing online are offered for sale through our diplomaframe.com™ e-commerce site, or through our partner affiliates. As a long-standing member of the Professional Picture Framers Association, we maintain stringent standards in product quality, inspection and customer service. We guarantee you the finest quality frames and insignia products, as each item is individually crafted and carefully inspected to ensure that it meets our high quality standards. Do you know about Church Hill Classics? 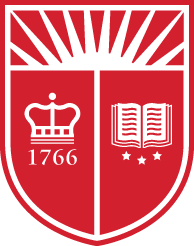 Yes, you can secure an education loan to study abroad at Church Hill Classics. Education loans are of two types- Collateral and non collateral. Collateral includes either: Immovable property – a house or a flat or land (or) liquid security – an FD, or LIC or shares or bonds. Agricultural lands are not accepted by any bank for education loan. When is the deadline of Frame My Future Scholarship Contest in US, 2019? For which degree is Frame My Future Scholarship Contest in US, 2019 offered for? For which field is Frame My Future Scholarship Contest in US, 2019 offered for? Who can apply for Frame My Future Scholarship Contest in US, 2019? Who is offering Frame My Future Scholarship Contest in US, 2019? What is the funding covered in Frame My Future Scholarship Contest in US, 2019? Where can Frame My Future Scholarship Contest in US, 2019 can be taken at? 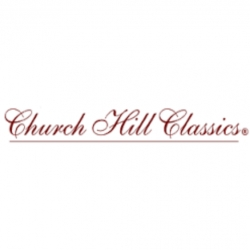 What are the other best scholarships at Church Hill Classics? What are the other High/Secondary School scholarships in Church Hill Classics?